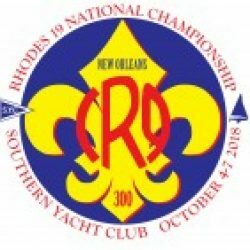 We are encouraging anyone who wants to sail the Nationals here in New Orleans October 4-7 but doesn’t want to haul a boat long distances to charter one of our local boats. We have established a simple set of procedures for chartering, and if anyone has questions, please feel free to contact regatta chair Tom Long, at 504-669-3030 or tom@thomaslong.net. The Regatta Chair will receive requests for charter and will identify owners willing to charter their boats. The Regatta Chair will provide contact information for both charterer and the owner to make suitable arrangements and include the contact information for Gowrie Group to secure their one-design policy if necessary. The suggested charter fee is $500 plus insurance that the boat owner deems adequate to cover property and liability. All insurance policies must name Southern Yacht Club as an additional insured and provide a waiver of subrogation in favor of SYC. If adequate insurance acceptable to both parties is not put in place prior to the regatta, Gowrie Group offers a special one-design policy for $250, which charterers will be required to secure before the regatta. See you in New Orleans October 4-7.